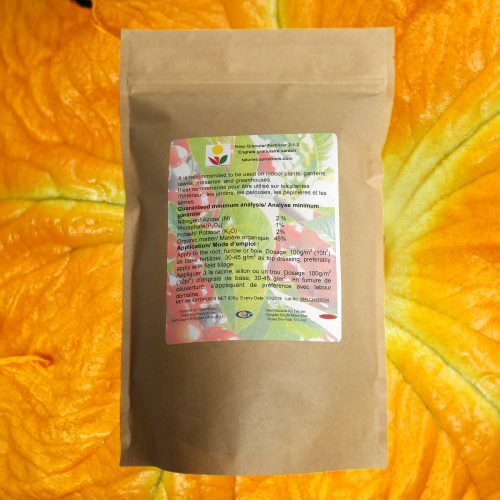 These products are approved for use in organic farming by Pro-Cert and CERES. Presently, we are offering two varieties: ASG212 and ASG252 with NPK value of 2-1-2 ans 2-5-2, respectively. 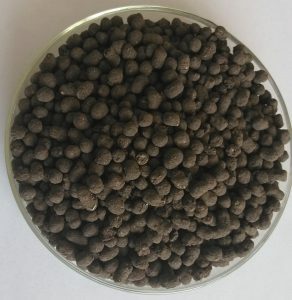 It is an effective input to increase & renew organic matter in soil, promote soil microorganisms growth, improve soil structure formation, increase water holding capacity, and improve aeration condition. Method of application: Apply to the root, furrow or hole. Dosage: 600-900 kg/ha as base fertilizer; 300-450 kg/ha as top dressing. If you are interested in volume purchase please e-mail us. Kelp Granular Fertilizer 2-1-2 800g – Free shipping within Canada.